August 26, 2015 / Steve Black Jr. The 2015 Pokémon World Championships drew to a close this weekend in Boston. 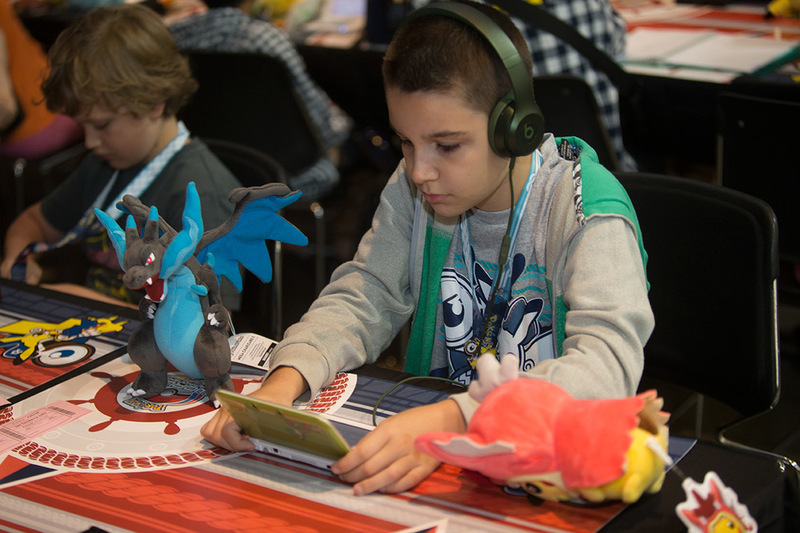 Players from more than 36 countries competed in Pokémon Trading Card Game (TCG) matches and video game battles playing Pokémon Omega Ruby or Pokémon Alpha Sapphire. The road to the World Championships was a challenging one, with players qualifying through a yearlong series of regional and national tournaments. After three days of intense battles that saw the world’s best Pokémon TCG and video game players competing at the highest level, six players across two disciplines and three age divisions were crowned Pokémon World Champions. More than 5,000 players, fans, and supporters attended the event at the John B. Hynes Veterans Memorial Convention Center, while more than 1.5 million Pokémon fans watched the action from home via the official live stream at Pokemon.com/Worlds and Twitch.tv/Pokemon. A rebroadcast of the 2015 Pokémon World Championships will air on both sites beginning Monday, August 24. 2015 Pokémon TCG Junior Division World Champion, Rowan Stavenow from Canada. 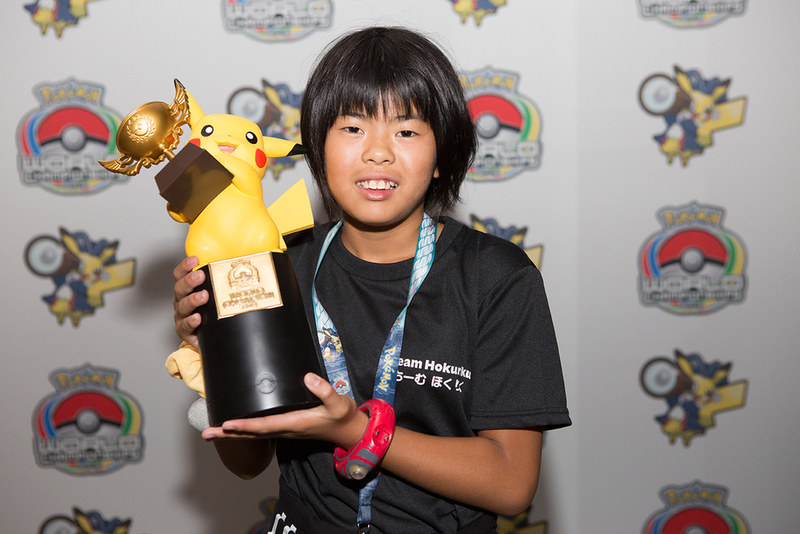 2015 Pokémon Video Game Junior Division World Champion, Kotone Yasue from Japan. 2015 Pokémon TCG Senior Division World Champion, Patrick Martinez from the United States. 2015 Pokémon Video Game Senior Division World Champion, Mark Mcquillan from Great Britain. 2015 Pokémon TCG Masters Division World Champion, Jacob Van Wagner from the United States. 2015 Pokémon Video Game Masters Division World Champion, Shoma Honami from Japan. Winners of this year’s invitation-only tournament earned the title of Pokémon World Champion, collected scholarship money, won an invitation and Travel Award to the 2016 Pokémon World Championships, and received a special Pokémon World Championships trophy featuring Pikachu. The Pokémon Company International has awarded more than $3 million in scholarships since it began running tournaments a decade ago. For more information on how to participate in future Pokémon Championship Series events, please visit www.pokemon.com/play.